WHILE attending the wake of a relative at Princes Town, 72-year-old Brenda Ramsingh had to cut short the visit on Friday night due to the shooting death of her son in Fyzabad. Dead is Roddy Ramsingh, 46, a mechanic, also called Lacey, of Benny Trace off Mon Desir, Delhi Road, Fyzabad. Police said he was liming outside Fat Boy’s Bar at Delhi Road shortly after 11 pm when gunmen opened fire at a group of people. Ramsingh died at the scene while another man, Ramnarine Chaitoo, was shot and wounded as he attempted to escape. Up to yesterday, Chaitoo, 47, remained warded at San Fernando General Hospital. He lives at Delhi Road. This is not the first time Brenda Ramsingh, also known as Tootsie, lost a son under tragic circumstances. Over 20 years ago, one of her sons was killed by a drunk driver while walking to the family’s home. He was a primary school student at the time of his death. 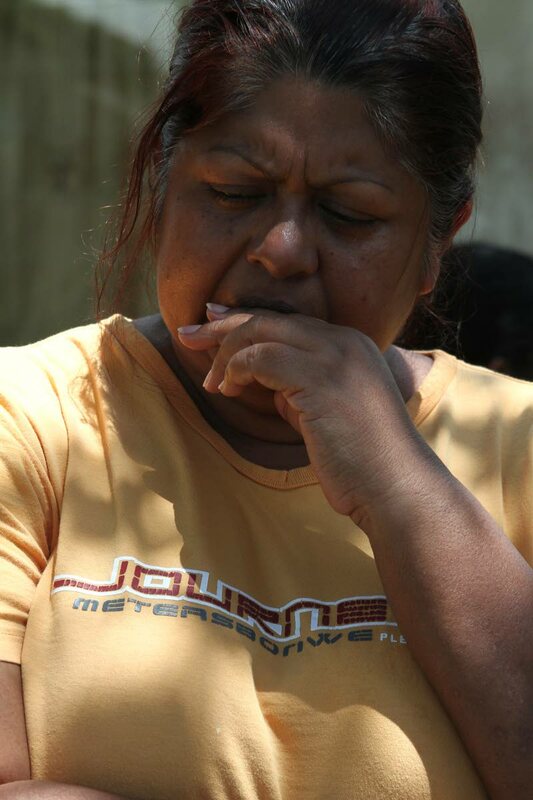 Speaking to Sunday Newsday yesterday Ramsingh’s sister, Sharon Ramsingh-Gopie, 50, said her mother is in deep mourning. “Mommy’s brother in law, Uncle Indar died a few days ago. She got the message that something was wrong while in his wake. She came home and had to face all of this. She is in shock,” Ramsingh-Gopie said. She said that earlier in the day, Ramsingh was repairing a car near the bar. When he finished the job, he decided to lime with some people outside the bar. It was customary that wherever drivers had mechanical problems, Ramsingh would visit and fix their vehicles regardless of the time. The family believes that he was not the intended target of the gunmen and believe it was a case of mistaken identity. “It seems the bullets were not intended for him. When we got the news, I went with my son. We could not see anything because the area was already cordoned off. Lacey was very respectful and well mannered. He was a very nice person,” Ramsingh-Gopie said. Ramsingh was unmarried and did not have any children. Still grappling with the tragic news, Ramsingh-Gopie said the only consolation the family has is that it happened on the Sabbath. They are Seventh-day Adventists and observe the Sabbath from at 6 pm on Friday to 6 pm on Saturday. “The only consolation we have is that he was sober and died on the Sabbath. He was not drinking at the bar,” she said. Police from the Homicide Bureau Region III and South Western Division visited the scene. The killers remained at large yesterday, and investigations are continuing. Reply to "Mechanic shot dead"